Hardness level is 3.5. 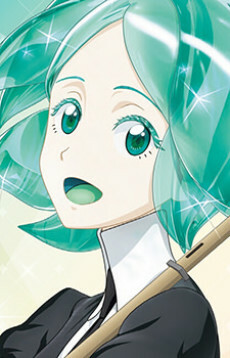 Phos is the youngest among the Lustrous at 300 years old. Phos is brittle and weak, and is unfit to fight. Phos feels useless and unskillful at everything, but for the first time Phos is given a job — to edit a natural history magazine.